the one not so awesome thing about split pea soup is it doesn’t photograph well. let’s be honest, it looks like vomit. i’m not sure if vomit and a food blog go together but seriously, really. you’re thinking the same thing right? it seems i’ve got my sense of humor back? eh, possibly. 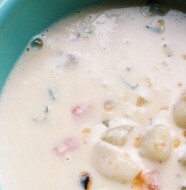 all i know is this perfect bowl of soup took all of 45 minutes to make from start to finish. fresh veg, homemade chicken stock, our favorite hot dogs. sweet potatoes, a carrot, a large slice of onion…that’s all it takes. sweet, perfect, and delicious. a great combination for a cold and dark day. plus, my kids love hotdogs. melt butter with canola oil. sauté the onion, carrot, sweet potatoes and garlic for 5 minutes or until the veg soften. add split peas, mix. 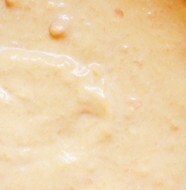 add stock mix. bring to a boil, and then simmer covered for 20 minutes or until split peas break apart easily and potatoes and carrots are soft. 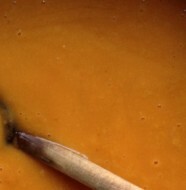 with an immersion blender (or a regular blender) blend soup till you reached your desired consistency. mix and add diced hotdogs. cover and simmer for another 10 minutes. ladle into bowls. inhale. dig in. 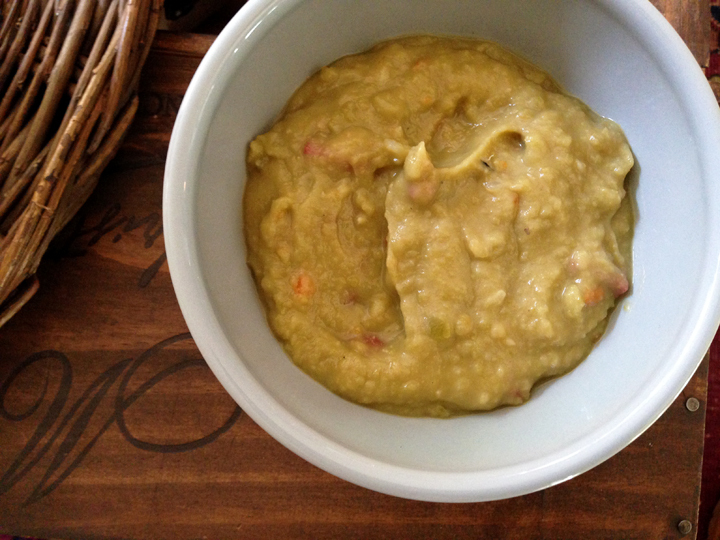 3 Comments on "simple and quick split pea soup"
I’ll have to add this to my need to try list. I must confess, the hot dogs crack me up! LOL! It does look like vomit but I bet it tastes great! Pea Soup is one of my favs! M, it’s Dan, i am going to make this.